As soon as the weather turns cool and crisp in September I decorate my home to welcome autumn, my favorite time of year. Not only do I love pumpkin goodies like my Pumpkin Bread, I also love to use them as decorations throughout my home. Well, you’ll see. 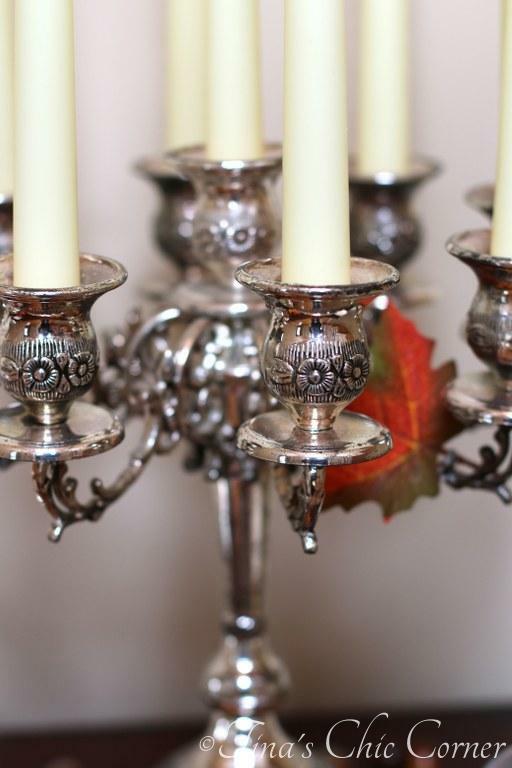 How gorgeous is this antique candelabra? A family member gave it to me a few months ago and I adore it. 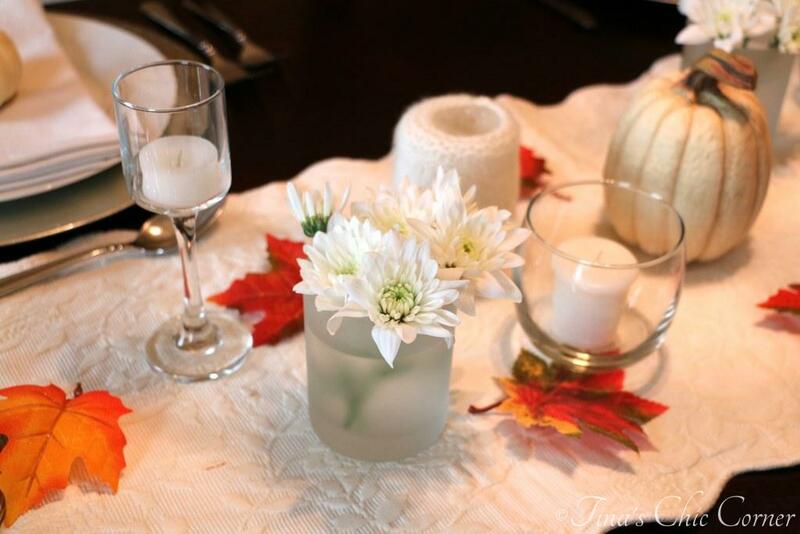 I love to set a festive mood at the dinner table. Most of the table is adorned with white candles and flowers. This is a great theme any time of the year. 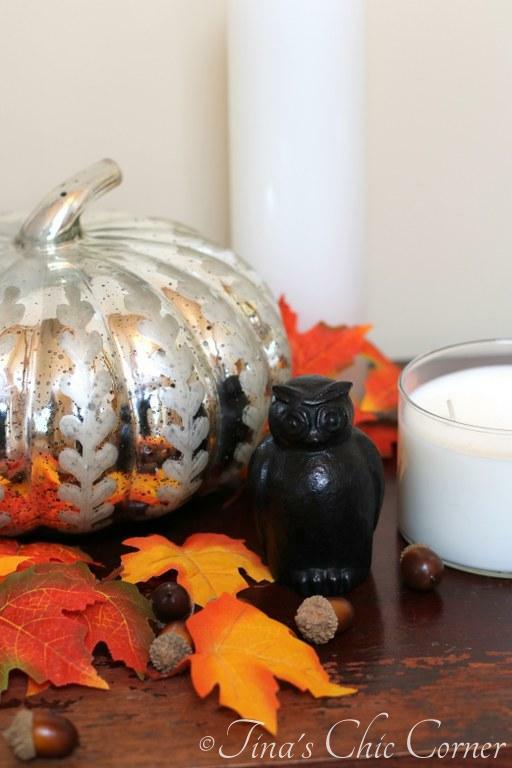 Plus, it’s inexpensive and candles that aren’t all used up can be reused year after year. I’m especially proud of my sweater votives. It’s pretty much the only DIY project I’ve ever been successful at. I’m definitely better in the kitchen than I am with crafts. You can check out the tutorial on how to make them here. If you’re on a budget, check out your local grocery store for low price flowers. I got a big bunch for just a few dollars. Just a few adds the perfect touch. 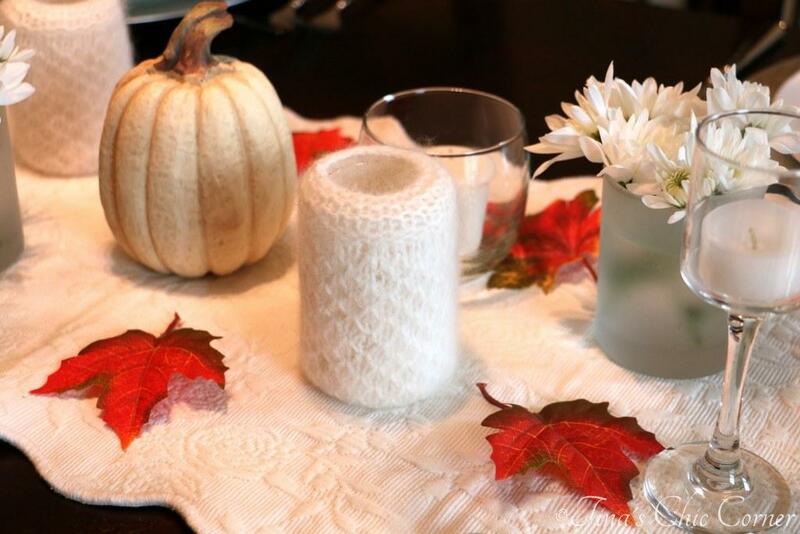 I kept the plate setting simple and festive, using a single white pumpkin on each plate. How about the kitchen, the heart of the home? 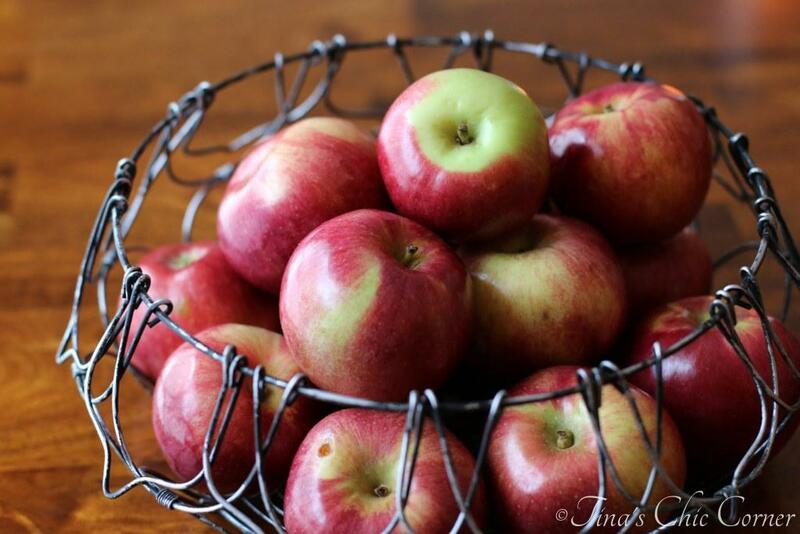 I decorate with food and apples are a must this time of the year. In the Northeast we get literally dozens of types of apples. I can grab one on the go or have it handy to bake with, like this Apple Cheese Danish or an apple cake (coming soon to the blog). Moving to our family room, the mantel is the highlight of every season and holiday. You just can’t beat the ambiance of a lit candles and a roaring fire. I brought the warm colors of Fall to the mantel with some fresh flowers. Of course I’ve added some pumpkins here too. It’s amazing how many pumpkin shaped nick knacks one can find at Christmas Tree Shops. I always keep meaning to decorate my house seasonally, but I never get round to it. All this looks so nice. Just love your table, there is nothing more beautiful than a beautifully set table, makes you feel fabulous even before the first bite of food. What an awesome Fall tradition you have. Your home looks so cozy! Very chic indeed. Yup, that mercury pumpkin is utterly amazing. I need to get me one! haha Plussss I currently have a pottery barn gift card, so you know 🙂 I loveee mercury glass! And all your decorations! So pretty!